​Jackson Coaches for the hire to the charity a 49 seater coach to enable the volunteers to travel to/from Moldova. ​Aliaxis​ have provided a huge range of pipes and bends for the external and internal works to connect the septic tank to the building and connect up the toilets in the new bathrooms. 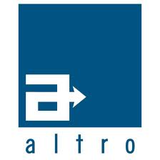 Altro Floors for donating lino flooring since 2011 for all our projects and will be again in 2018. A very generous company providing as much flooring as we require for the project which we are undertaking at the time. ​Plus in 2018 allowing one of our volunteers to attending company training on the best way to lay and seal the flooring, brining improvement to what we can do at the project. F Ball for the donation of 3 tubs of Floor Adhesive, so the team can lay the lino provided by Altro. Bathroom Clearance has provided an excellent discounted price on all the sanitary ware required for the school project along with shower trays which will go to the Balti Hospital project. Huge thanks goes to the Sathya Sai Organisation - Region 2 UK for gathering together over 70 banana sized boxes of food, along with some clothing and school stationery. Bristan have generously donating 8 pairs of taps for the project. 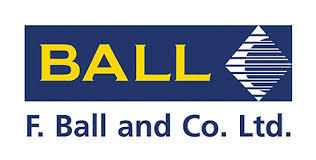 Brightwell have donated 2 soap dispensers for the bathrooms the volunteers will be creating. Martyn and Kevin Gard at J Gard & sons for 2 doors, with door furniture, three door liners, along with screws, silicone and mastic. Alexander Cleghorn Ltd for the supply of melamine boards for the team to create partition walls, splitting a room into two, to recreate two classrooms. Mary & Trevor for helping buy supplies, sourcing and donating clothing along with two internal doors for the library in the school. and many more individuals who donated clothing. Drain Depot for the fantastic discount on a septic tank. The team of volunteers will be installing the tank at the project school in Moldova in August for the toilets and showers to drain into (once the team have tackled the installation of those in the 8 day challenging project!). Ipswich Rotary Club for sponsoring the Septic Tank by donating money to the charity. The charity Trade Aid provided kits for a plumber, builder, electrician and carpenter for TEECH to take to Moldova and find good homes for. The kits will be donated to those who could develop their skills and have the right tools for the job, where they would not normally have the funds to buy tools and help with their work. Thanks to Allan from Trade Aid. Harbour Shipping – for vital assistance with the customs paperwork for Moldova. The Essex based print company have supported TEECH with the shoebox appeal for two years, printed leaflets and also donated travel mugs for use on the trip by volunteers.